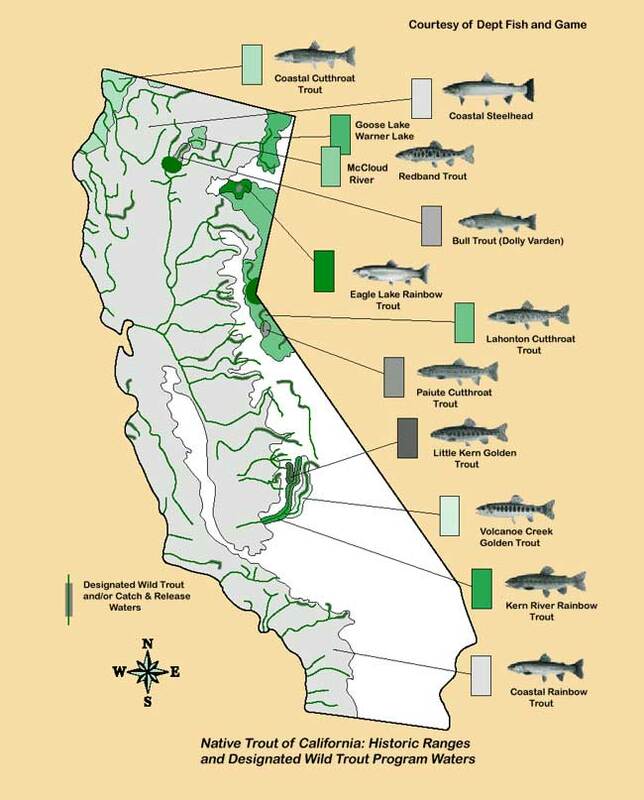 Five species of trout are now present in California. In the list below, the official common names are shown at the left, while the corresponding scientific names at the right identify genus and species, in that order. Of these five, the cutthroat and rainbow are natives, while the brown, eastern brook, and lake have been introduced into the State. A sixth trout species, the Bull Trout was identified in the McCloud River as a Dolly Varden but the species no longer remains in the area. The cutthroats and rainbows are generally considered to consist of two or more subspecies, although ichthyologists who specialize in the classification of trout are not in full agreement with respect to the validity of some of them. Those presently officially recognized in California are the following.